The apartment was very clean and comfortable. Close to stop station leamington terrace . Bus number 27 and 10 pass to this bus stop and take you to city center where the most attraction places. With 4 pounds day ticket you have the access to all buses for that day . The apartment has all kitchenware which enables you to cook what you like . Close to many supermarkets. Highly recommend. Who like to visit Edinburgh and they come early before check in or their back flight is after check out . There is rental lockers in Bus station and they can keep luggage there. They have different size of lockers . Apartment was large and functioned well. Little far away from where we wanted to be but overall very nice. 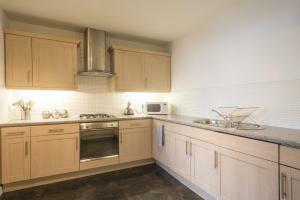 Quiet and nice location within walking distance to prince street and Edinburgh castle. The apartment has all the required facilities, its clean, spacious and very comfortable. Everything nearby and in walking distance. Right by the quiet canal. 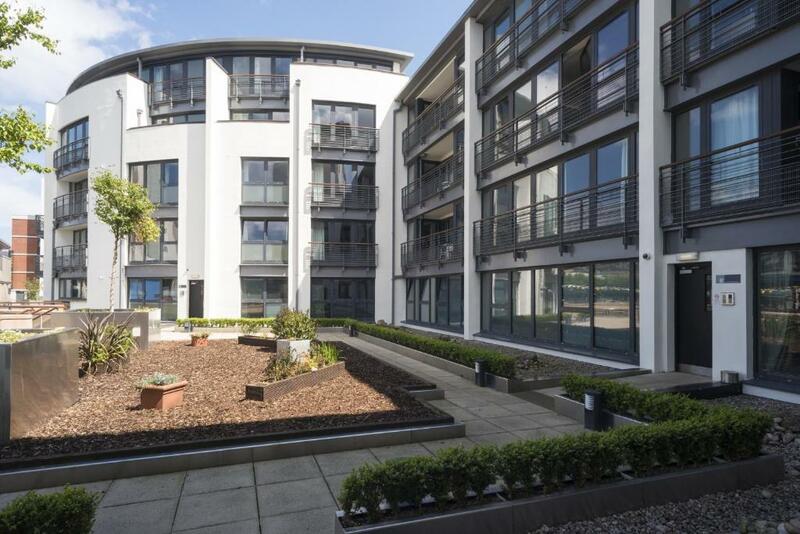 Lock in a great price for Fountain Court Apartments - EQ2 – rated 9 by recent guests! 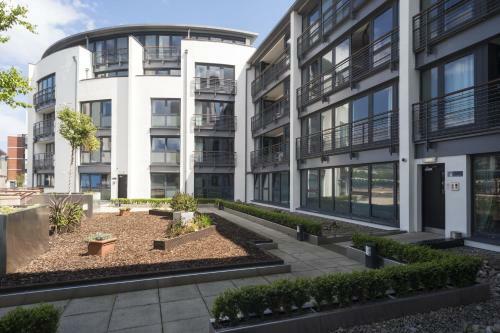 Fountain Court Apartments - EQ2 This rating is a reflection of how the property compares to the industry standard when it comes to price, facilities and services available. It's based on a self-evaluation by the property. Use this rating to help choose your stay! One of our top picks in Edinburgh.With a canal side location, these spacious apartments are located in Edinburgh’s residential area, just 1 miles from Edinburgh Castle. Bars and restaurants are within 1,000 feet of EQ2. Princes Street’s shops and gardens are less than 1 miles away. 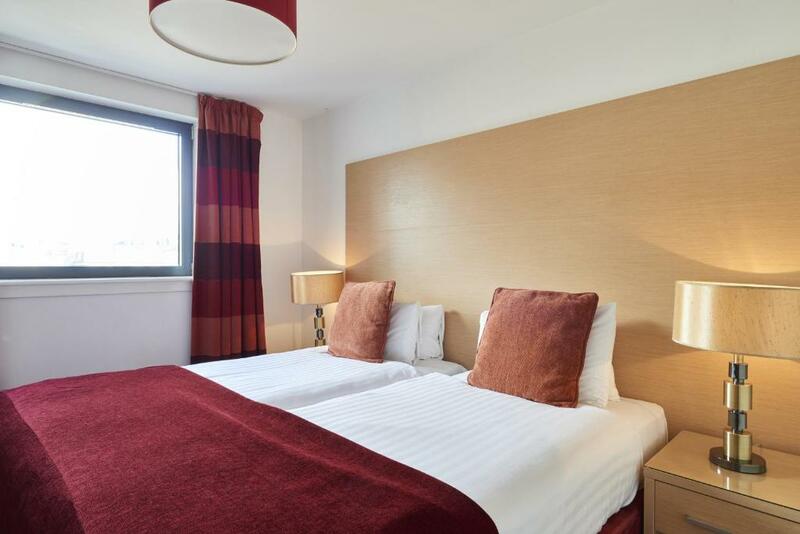 Edinburgh's historic high street, the Royal Mile, is a 20-minute walk from the Fountain Court Apartments - EQ2. Regular ghost and history tours of Edinburgh and its underground vaults leave from Parliament Square, just off the Royal Mile. The EICC is under a 10-minute walk from the property. 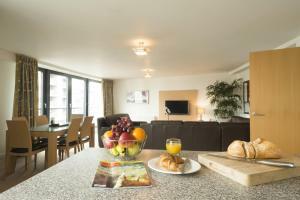 A flat-screen TV with some Sky Sports channels and modern furnishings feature in the open-plan living and dining area. A dishwasher, washing machine and dryer and a microwave are included in each fully-fitted kitchen. Free fiber optic Wi-Fi is available throughout. Breakfast packs can be requested prior to arrival at an additional cost. Toiletries are included in all bathrooms, some also have speakers. When would you like to stay at Fountain Court Apartments - EQ2? Located on the ground floor, this apartment has a separate living area and a TV in both the lounge and the bedroom. The apartment is serviced daily. 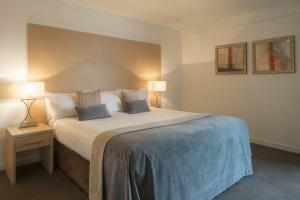 This two bedroom apartment has a separate living area, 2 bedrooms and 2 bathrooms/shower rooms. There is a TV in the lounge and bedrooms. The apartment is serviced daily. 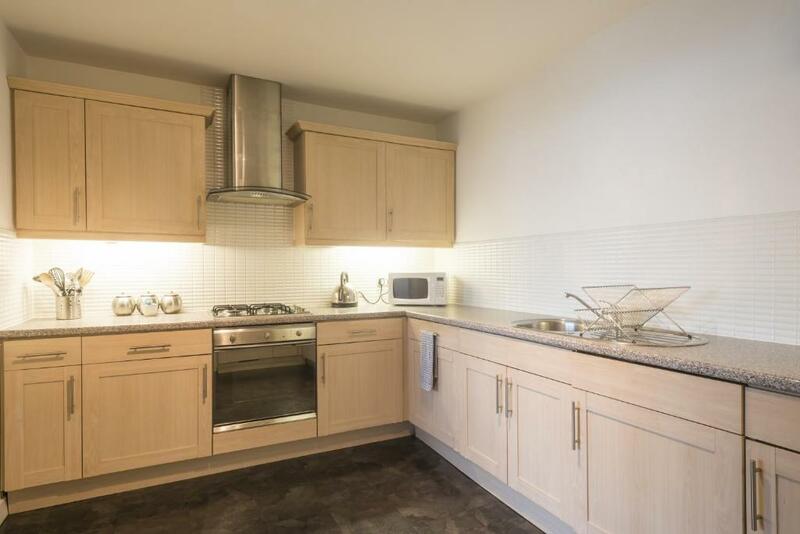 This three bedroom apartment has a separate living area, 3 bedrooms, and 2 bathroom/shower rooms. There is a TV in the lounge and 2 of the bedrooms. The apartment is serviced daily. 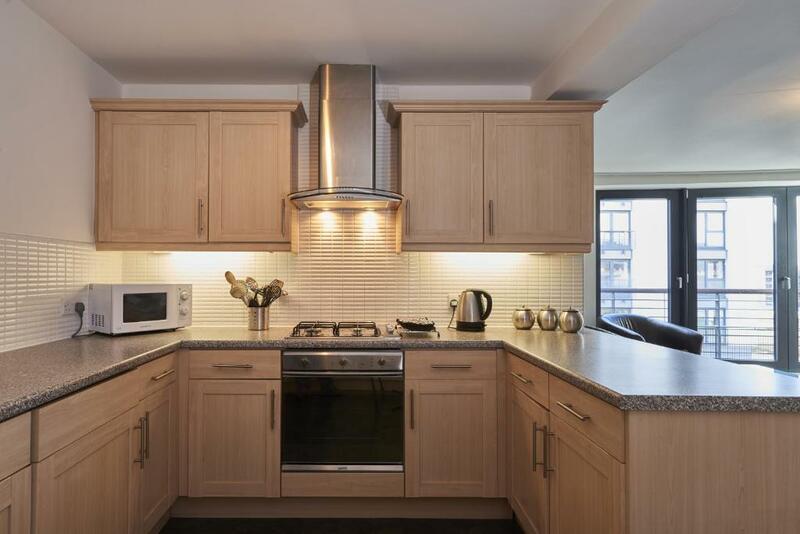 Offering views of Edinburgh Castle, this split level two bedroom penthouse has separate living, 2 bedrooms, 2 bathrooms/shower rooms. There is a TV in the lounge and in 2 of the bedrooms. The apartment is serviced daily. Offering views of Edinburgh Castle, this split level three bedroom penthouse has separate living area, 3 bedrooms, 2 bathrooms/shower rooms. There is a TV in the lounge and in 2 of the bedrooms. The apartment is serviced daily. 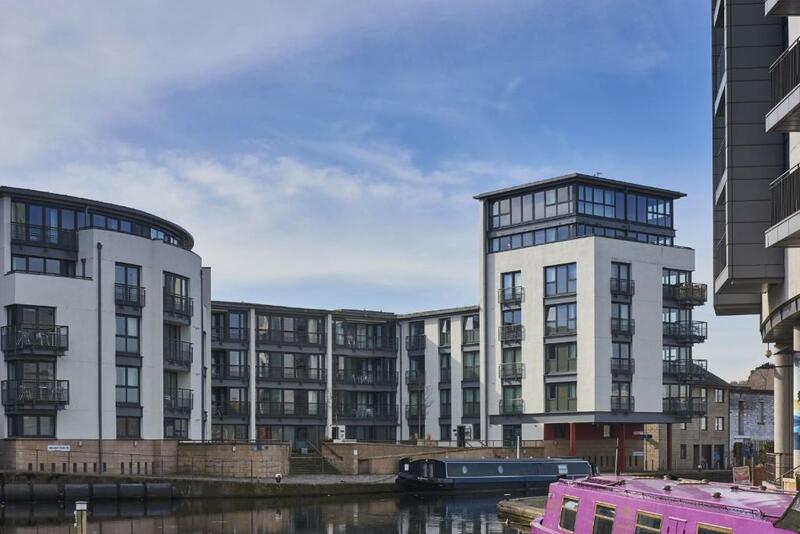 Situated on the banks of the Union Canal at Fountainbridge, EQ2 comprises spacious and accommodating apartments, which can cater for up to 6 people, making them perfect for family breaks and larger groups. Some on the higher floors offer beautiful views over the city skyline and Edinburgh Castle. We enjoy looking after are guests and strive to provide you with the best stay possible. We hope that you will enjoy your time with us! 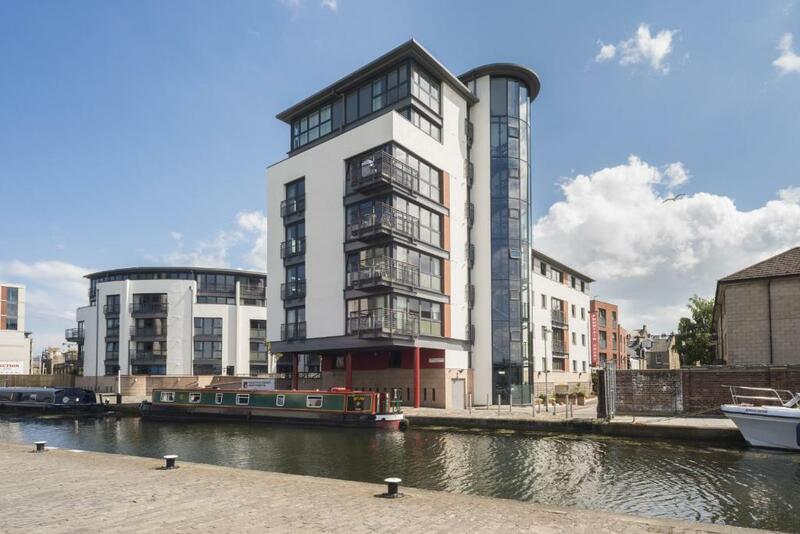 Situated next to the picturesque Union Canal with canal boats coming and going, these apartments are tucked away in a a quiet residential area of Edinburgh's bustling city centre. With plenty of restaurants, bars, cafes and shops nearby, all travellers will find something they enjoy. House Rules Fountain Court Apartments - EQ2 takes special requests – add in the next step! A GBP100 damage deposit is required on arrival (around USD130.49). This deposit will be fully refunded 14 days after check-out, as long as there isn't any damage to the property. Fountain Court Apartments - EQ2 accepts these cards and reserves the right to temporarily hold an amount prior to arrival. Please note that upon arrival, guests must provide the credit/debit card used to book. Photo ID which matches the name on the card must also be provided. If a guest does not have the card, an alternative payment must be provided and the original card shall be refunded. Check-in is at the main reception located at 1 Lower Gilmore Bank, EH3 9QP. Guests who expect to arrive after these times are advised to contact Fountain Court directly for key collection instructions. A maximum of 2 dogs are permitted at the property for an additional fee. Cats and other pets are not accepted. Please contact Fountain Court directly for more information. A security deposit between GBP 100 and GBP 200 will be pre-authorized upon arrival for incidentals to the card used at the time of booking. This amount will be released back within 10 working days after check-out and subject to a damage inspection of the accommodations. This property does not accept cash, checks or foreign currency. If booking using the “no credit card required” option, a credit card is still required on arrival for payment and security deposit. For bookings of three apartments or more different terms and conditions may apply. A damage deposit of GBP 100 is required on arrival. That's about 130.49USD. This will be collected by credit card. You should be reimbursed within 14 days of check-out. Your deposit will be refunded in full by credit card, subject to an inspection of the property. Great price, great location. Very clean and spacious. Kitchen hob exhaust fans were not working so Smoke alarms started going off the moment we start cooking. We did not know what to do. Glad the hotline answered quickly to troubleshoot. I like the convenience and the whole apartment as it feels home away from home. Really lovely apartment. Great location. Cozy & clean. The apartment itself was very nice and the staff was great (when they were there). location was fantastic and pet friendly! Value for money, 90 pound to check in at 3.30pm and check out again at 10.30am is really poor considering we only ever go away once in a blue moon and were home again for 11.30am! Space, 2 showers/bathrooms, comfy beds.